Ostensibly autonomous and with a fixed three-year term under his belt, governor of the State Bank is supposed to be one of the safest and most secure jobs in Pakistan. 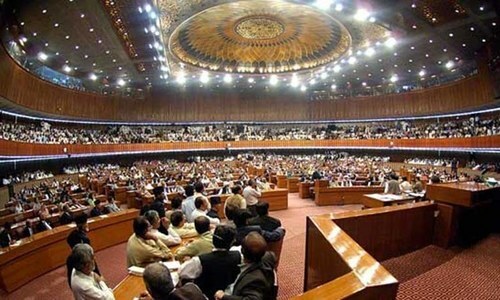 But with the ouster of Yaseen Anwar last week, the SBP governorship has begun to resemble the prime ministerial hot seat of the 1990s: Anwar, two years, three months; Shahid Kardar, 10 months; Salim Reza, one year. So what has gone wrong at the State Bank of Pakistan and will the likely announcement of Mohammad Aurangzeb, a private-sector banker in Singapore, as the next governor help end the turmoil at the top in the SBP? In conversations with Dawn, senior government officials, bankers and IFI representatives offered their opinions on the ouster of Anwar and what his likely replacement means for the stewardship of the economy in the year ahead. With the fearsome and all-powerful Ishaq Dar dominating the fiscal and economic landscape at the moment, most only agreed to speak on the condition of anonymity.“(Yaseen) Anwar’s problem was that he did not quite understand just how important the exchange rate is to Dar,” a senior government official said. 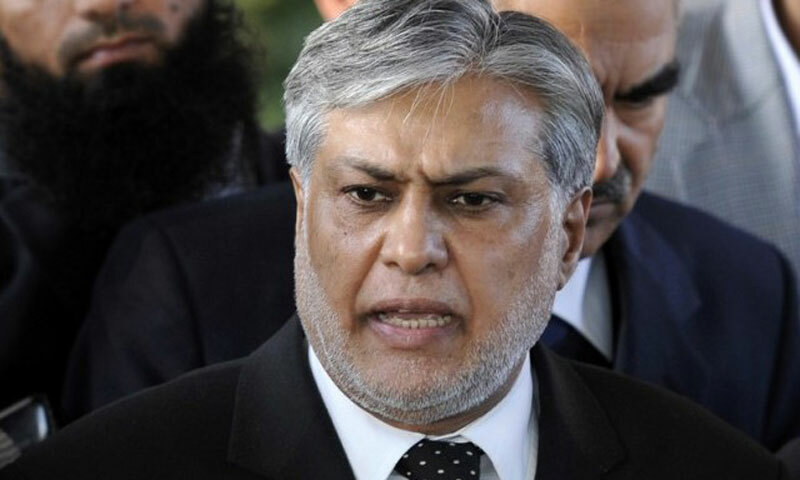 The official and others familiar with the wrangling between the SBP and finance ministry claimed that while Dar always intended to replace the PPP-appointee Anwar, the decision was expedited by Anwar not sharing Dar’s obsession with artificially slowing the slide of the rupee against the US dollar. But the principal problem for Anwar, who is believed to have lobbied then-President Asif Zardari to appoint him as SBP governor in a much-speculated-about quid pro quo, was less about policy differences and more about Dar wanting his own team. “Dar is a control freak. 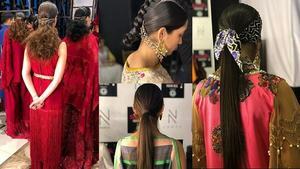 He doesn’t just want his way, he wants things done in the exact manner he wants them done,” a PML-N member of the government’s economic team said. What about the autonomy and independence of the State Bank? “Autonomy of the State Bank is a flawed concept,” a finance ministry official said. An IFI representative said, “The problem is, the government believes that good economic policy is made by businessmen and bankers, not by economists. But the fundamental problem is that for the next two years, you’re stuck with the IMF. “You need someone at the SBP who can talk to the economists sitting on the other side of the table in their own language. Will a banker (Aurangzeb) be able to do that?” the IFI representative asked. Where does that leave Dar, the micromanaging finance minister who is reinforcing his old reputation for putting arch-loyalty and total control ahead of everything else, and his plans for the economy? “He (Dar) needs all this control because the margins of error are so small. The head is barely above the water. And the plan is the same as it’s always been in Pakistan: keep the head above water,” a government official said. The problem is, the government believes that good economic policy is made by businessmen and bankers, not by economists. 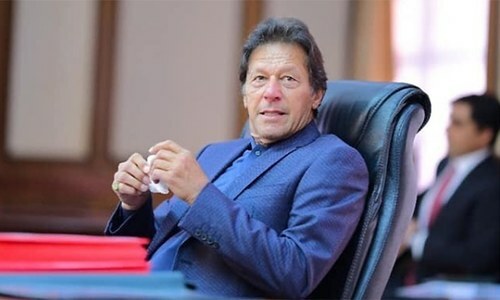 This is worth noting, as every time history has repeated itself that the fact whenever an artificial boom came in Pakistan it has been made by these bankers and business men thus giving an advantage to the ruling government and when these monetary bubbles explode the government changes making the next government the one to fix the problem. The problem is that business men and bankers are the producing side of the economy and they more often neglect the consumer side of the economy that is both are the part of a society, while the economist only defend the consumer side neglecting the producers as they had benefits in the past. This leads to a fail. All this proves is that Ishaq Dar is NOT a leader, he may be a manager (of sorts). My Dear Ishaq Dar and SBP Governor you want to control the USD rate where Forex appointed people are openly carrying Millions of Dollars in shopping bags in many flights to Dubai. I am a frequent traveller and see many of those people known as Khepias, I reallly feel bad about it and wonder where is govt? Approx 87 billion rupees is invested in Dubai property most of it went through this channel. Why govt is not serious to control this crime? Once you control this the Dollar rate will definely go down. The biggest blunder Mr. Dar had done by making 480-500 billions rupees to the to power generation company. He is not bothered to collect the amount due to power distribution companies. Now again debts are accumulating and reached about 120-150 billion. Now again he will set inside the mint to print the money and give the nation hyperinflation. Shame and Shame. Being a State Banker myself I completely agree with the former State banker. government least cares about the monetary policy, what would a politican know about Economics of an economy like Pakistan. they don't let any governor stay if he/she tries to do for the country and not for them(politicians). An economy needs a loose monteary policy and strict fiscal policy, but our economy goes other way around. Why not debt free currency? Why to have a debt in first place????? Dr Dar is an elected official . If he perform poorly, he will loose his job in next election cycle. Bureaucrats wants complete control without accountability. they should be fired , or forced out if they do not follow the elected officials. Who is the dictator. Musharraf, Nawaz or Dar? PML-N Sharif brothers believes in running the country with a team of relatives and friends whether they are capable or not. Results are obvious. A leopard does not change its spots. Control is the obsessive trait of weak personalities. We are hurtling towards an economic mess. May Allah protect Pakistan. @tanveer: Not the one who is elected by the people and can be ousted by the people according to the law of the land. The only difference. You can criticise the leaders as much as you like, you can not do that with someone who is not elected by the people. The chap who does not care about the oath of office. @Khanzada: Dar is not a Dr and he is not elected. He is a senator and senators are selected, not elected. Govt. can be sued for violating Article 38 of the Constitution which states that the Govt. must ensure social & economic well being of the people. Secondly, the Govt. is required to reduce the disparity of income amongst Rich & poor. This Govt. and Mr. Dar are following bad economic policies causing hardships to people. Chief Justice must take Suo Motto notice because Parliament is good for nothing. Looks like TTP can better manage the economy for the poor people. Dar's sole qualification for this job is his relationship with Sharif. @Ahmer: There are many many more, who are in the govt. because of relationship to Naawaz Sharif. Seems as if it is Sharif family Pakistan. @Ahmed: Mediocre officilas/ministers appointed because of their relation ship with the mediocre PM will produce mediocre results.